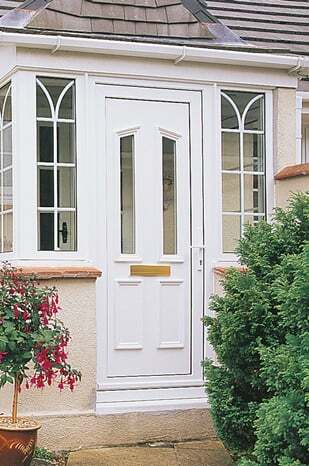 Our UPVC doors offer excellent value for money and are delivered fast. Fully made to measure and available with any combination of side and top windows. You've come to the right place if you're in need of a new upvc front or back door. 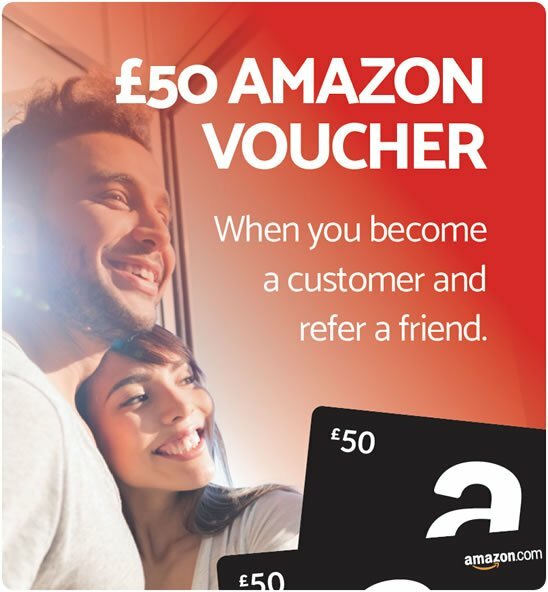 With free fast delivery - customise, quote and order easily. 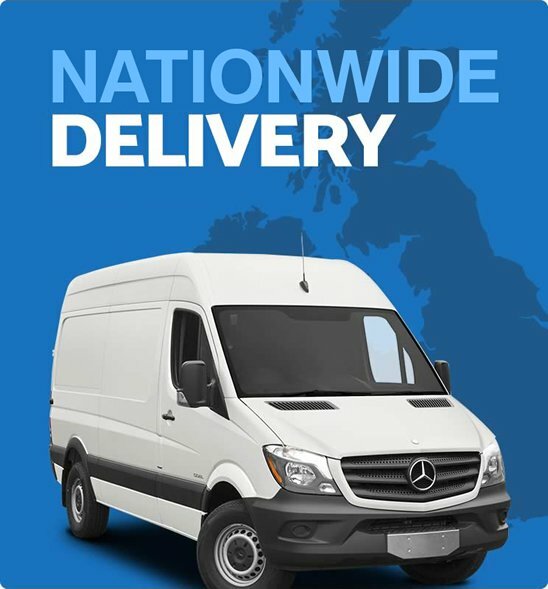 Prices starting from only £354.00 All our prices include VAT Delivery is FREE! 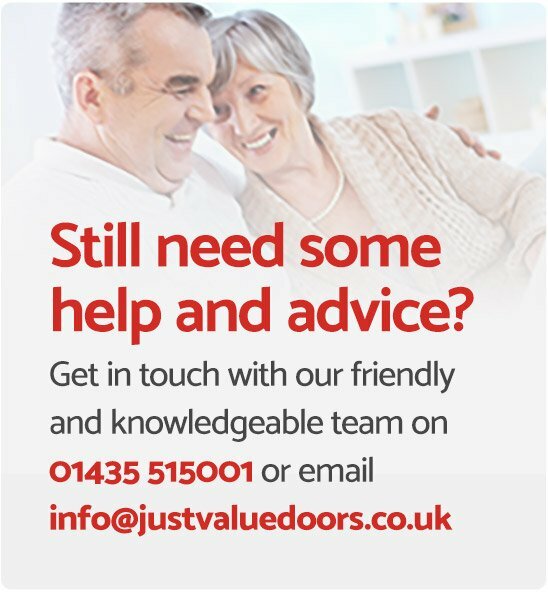 Just Value Doors makes and supplies high quality, cost effective, made to measure uPVC doors and windows across UK. 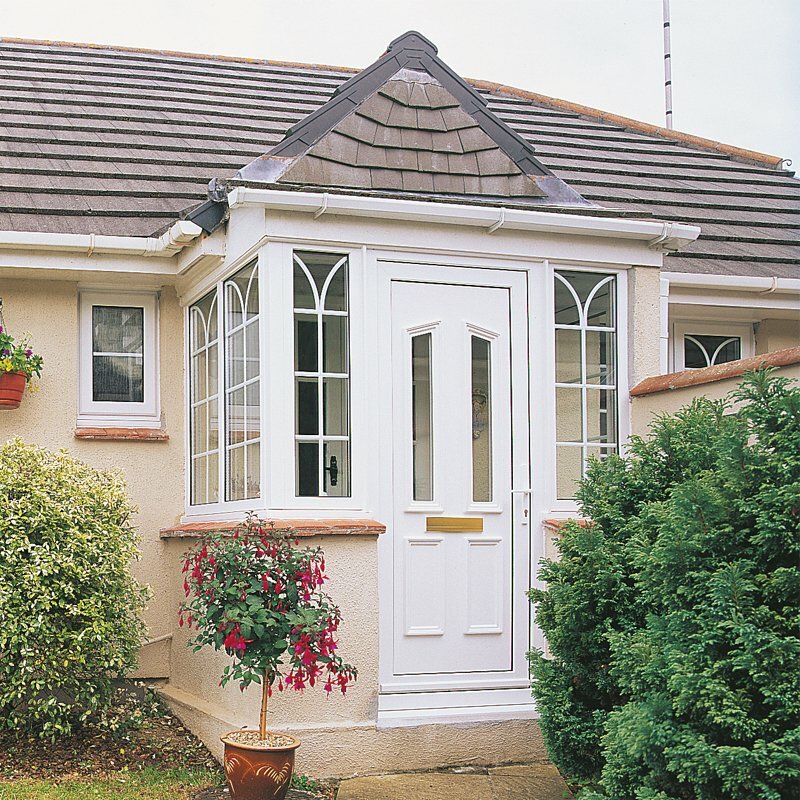 We understand that a new uPVC front door (or back door) is an important investment, and one you don't want to regret! If you've already done some research, you may have noticed external uPVC doors and frames do vary in price. But don't be misled into buying a poor quality product. Take a look at some of our uPVC door reviews for yourself before you buy. As a UK uPVC door company we know our doors need to be secure. That's why we don't compromise. We fit best quality uPVC door frames, including fully reinforced uPVC door panels and top quality locks and hardware. Our standard specification for uPVC doors provides a level of security that doesn't require upgrading. It's easy to overlook security when comparing uPVC door costs, so do keep this in mind in your research. How do uPVC back doors operate? When buying exterior upvc doors online it's important understand what you're getting. If it's a DIY uPVC door, exactly how will it operate? 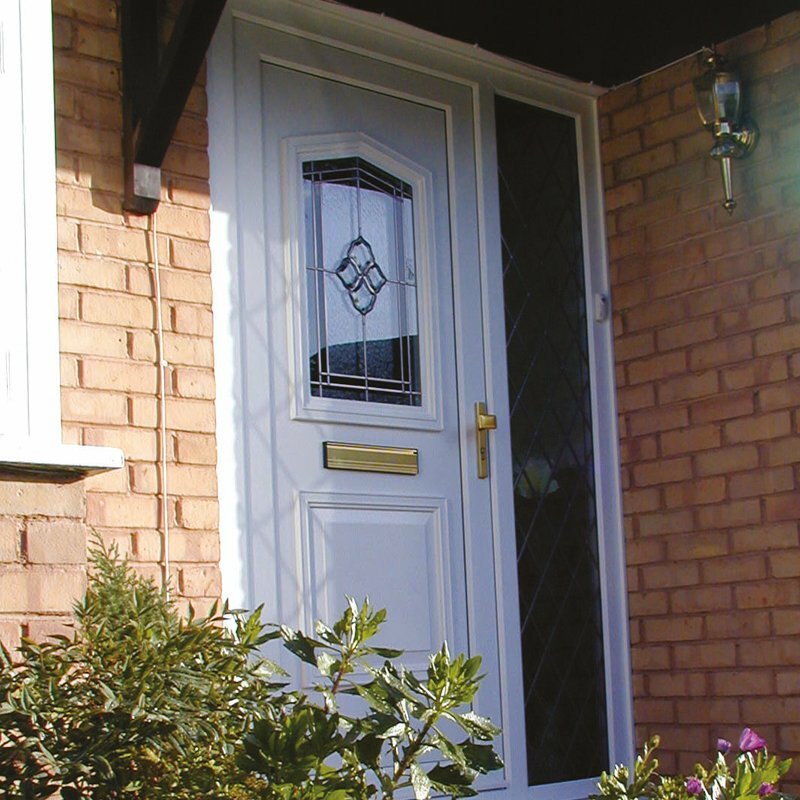 Our uPVC front doors come with a multi-point locking system as standard. When locks are engaged hooks lock into frame. So do rollers, a dead latch and finally a catch which in turn locks door in 5 points. How will my glazed door arrive? Please remember this only applies to "supply only" orders. If you select our uPVC door fitting service our installers will take care of everything. Your new double glazed uPVC door and frame will arrive pre hung in outer frame ready to install. uPVC door panel will be separate as this must be fitted during installation. For guidance on fitting a uPVC door please check out our uPVC door install guide. 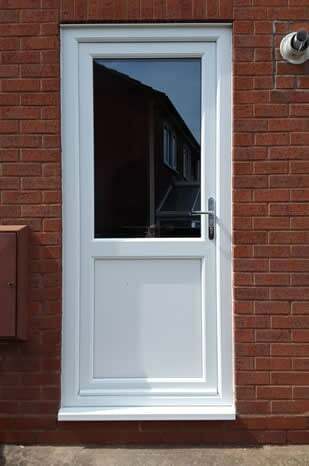 Our uPVC doors are offered with side panels which are joined using a coupler. We will supply joining coupler and you can order side panel by selecting a "frame style" during customization process. We can supply cat flaps in uPVC doors which will be supplied loose unless you choose our door fitting service. A cat flap in a uPVC door can easily be achieved if bottom of door has a flat panel or glass. That said we don't recommended fitting a cat flap to a door panel that has a decorative moulding that could get in way of fit. For further details, please enquire about a back door finishing panel. Our uPVC doors are available in a vast range of 17 colours. If you would like to see a colour sample please get in touch and we'll pop one in post to you. We have found black uPVC doors followed by brown uPVC doors are by far more popular colours, however choice doesn't stop there, so you can make your front door and frame as unique as you are. When fitted correctly, uPVC doors offer excellent thermal properties providing glazing makeup is right. 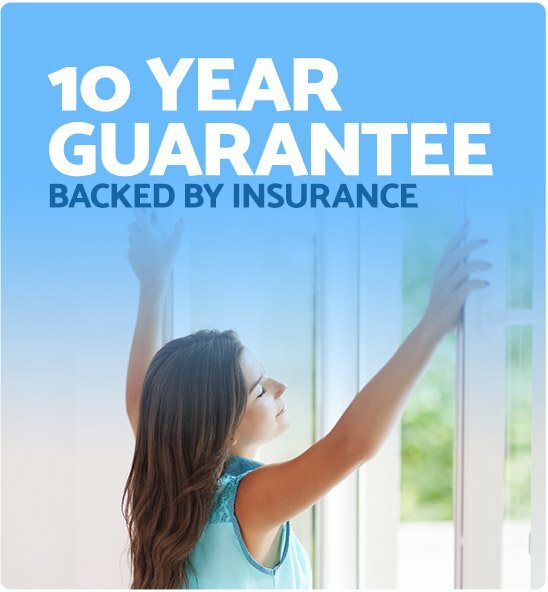 At Just Value Doors we use double glazed safety glass as standard; however our uPVC back doors can be upgraded further by selecting our "thermal upgrade"
Adding thermal upgrade option for uPVC glazing will significantly enhance energy efficiency of a cheap uPVC front door. Find out more about our thermal upgrade. 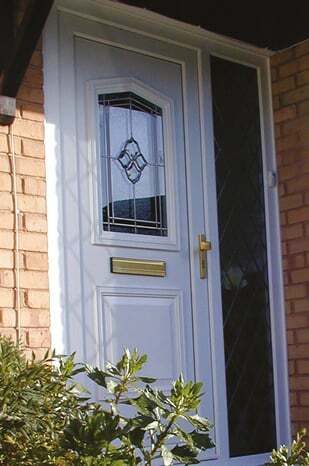 Once your nice new contemporary uPVC front door is fitted you need to take care of it. Don't worry - maintenance is minimal. uPVC surface of modern uPVC front doors only needs a quick wipe over once a month, and a periodic oil of hinges and locks. 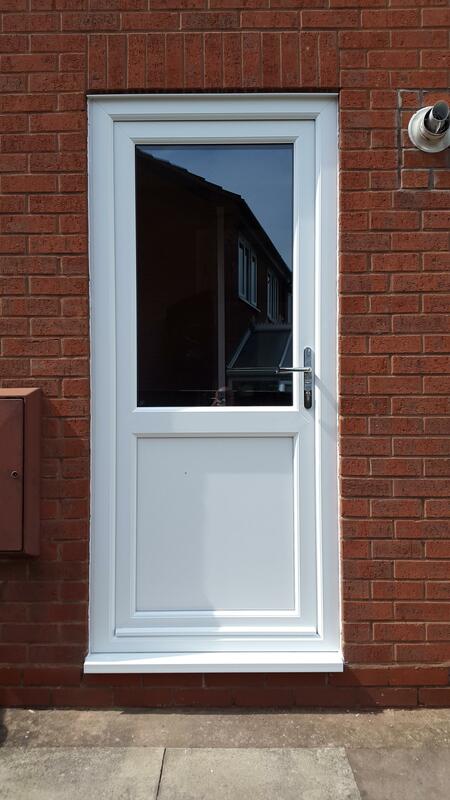 Keeping up with this minimal maintenance should ensure your made to measure uPVC door lasts you at least 25 years.